These things are a pest! 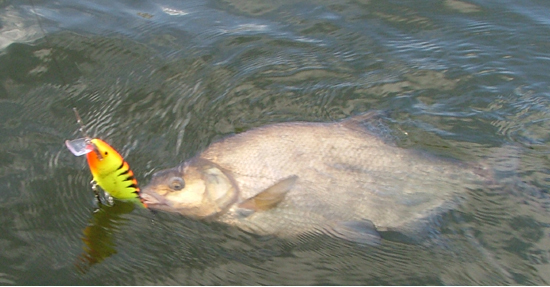 It was December 16th 2004, the water temperature was 43ºf and I was trolling the Supershad pretty fast. I saw the bream shoal on the sonar but didn't expect one to bite the lure.